Leela, aged 60 has had a smooth beautiful skin all her life. Middling brown, in colour she was one of those lucky women whom age had not caught up with, her skin and even her arms showing no trace of her advanced age. A tap on her door one fateful morning however drastically altered her hitherto unblemished skin. When she opened the door she found it was a door to door sales person, who said he was trying to promote a new cream made by a well known local manufacturer I was familiar with. Would she like to volunteer participating in some trial experiments where a free facial was being offered, he asked showing her a list of other volunteers whose ages ranged from 20 to 60. “To this day I don’t know what possessed me to agree. Perhaps it was his slick sales talk. Or the fact that I had never had a facial before and thought I should try one even at this age,” a contrite Leela says, recalling the moment when her hitherto happy life turned into a nightmare. The cream, she was promised would make her fairer and younger. What actually happened however was a disaster that could have easily turned fatal. For within hours of her facial, Leela developed a severe allergic reaction to the whitening cream, which caused a burning sensation all over her body. A relation who had dropped by rushed her to the hospital where she remained as an inpatient for a couple of days. Now ten years on, after several visits to a skin specialist, Leela’s once beautiful skin has turned dark. Under her eyes and on one side of her face is a black patch, which claims has got lighter over the years but never disappeared. * Dehini 24 is another victim of a facial cream that did not agree with her. Once a whitening cream addict, she now avoids such creams after her doctor warned her against their use. *Roshini 37 has been using whitening creams on her face since the age of 17. Just last month she says, she decided to give up using them after her doctor warned her she could develop chronic skin cancer beside a host of other medical problems. *Her friend Swarna, who uses a local herbal face cream, has developed severe acne and her dermatologist has warned the cream she is using could contain steroids that could cause deterioration of the skin and damage it. Beauty : is it only skin deep? The seminar will gather representatives from the Cosmetics Industry, Research institutions, chemical and Medical (toxicology and dermatology) specialists, and is open to the public . Senior Dermatologist NHS, Dr Chalukya Gunesekera: Misleading labelling as well as labelling which cannot be understood by the users is a big problem. Many imported products come with labels and instructions written in languages other than English, which the user cannot comprehend. In addition, expiry dates are often missing which is another problem. The woeful tales of these women, whose names have been changed to protect their identity, is told and retold across the country and across the globe, as women buy into the skewered belief that ‘fair’ is the synonym for ‘beautiful’ ‘pretty’ or ‘attractive’ and go to extreme lengths to acquire that ‘fair’. While the question ‘why’ colourism still continues to plague 21st century society needs careful study, far more immediate is the need to ensure that harmful products don’t masquerade as harmless beauty aids, placing women in life threatening situations. 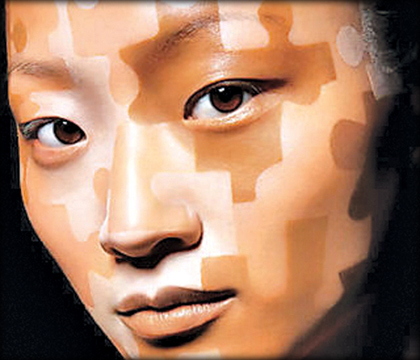 What are these skin whitening products made of, what causes creams to have such deadly health impacts? According to the Head of the Toxicology Information Unit at the National Hospital, Dr. Waruna Gunathilake the culprit is mercury. “Most whitening creams have mercury which can block the melanocytes, a pigment cell on the skin Its presence in fairness creams causes several health issues such as a degeneration of the skin level, making it thin and vulnerable to exposure in the sun,” he says, warning that prolonged use of these creams can lead to skin cancer. In tropical countries including Sri Lanka, he says sun exposure is very high “What protects us from the adverse effects of too much sun is our dark skin. We are dark because we have more melanocytes, which is the black pigment hat gives us natural protection against the harmful rays of the sun, unlike in European countries where people don’t have much melanocyte pigment,” he explains, reiterating his warning that constant use of whitening creams will lead to skin degeneration ( excoriation) and loss of skin elasticity and skin sagging . “If very high, it can cause skin cancer.”. However, regardless of these adverse health impacts, the fairness industry continues to use various ingredients including mercury that block the melanin forming melanocytes. “You can become fairer, but at what cost?” he asks. Steroids, he says have a similar effect on the skin as whitening creams, but adds, that they can also cause irritation, acute reactions and skin damage as they have a blocking effect on the melanocytes. “If you suspect the face cream you use contains a harmful ingredient, check it out with your skin doctor,” he advised. He also urged consumers to beware of face creams from Thailand and India that are illegally flooding this country, even though they have been banned in those countries. His colleague, Senior Professor of Forensic Medicine and Toxicology, Colombo University, and the founder Head of the National Poisons Information Unit at the NHS, Prof. Revindra Fernando underscores this sentiment. “A few years ago, American health officials warned consumers not to use skin creams, beauty and antiseptic soaps, or lotions that might contain mercury,” he says, pointing out that the products are marketed as skin lighteners and anti-aging treatments that remove age spots, freckles, blemishes and wrinkles and that adolescents also may use these products as acne treatments. When questioned about typical signs and symptoms of mercury poisoning, he responds. Using creams and soaps to lighten skin tone, face freckles or get rid of age spots are widely used in African countries. An investigation that involved interviewing Somali women living in USA about skin-lightening practices and the products they use and then testing those products for mercury showed that out of twenty-seven samples of products purchased at markets in two cities, 47% were found to contain mercury, he notes. So, if you are one of those persons who constantly use whitening cream on your face to make your dark skin fair and more attractive, you should think again. They may hold the promise of making you fairer and lovelier, magically transforming overnight your dull dark skin with a shine that makes you the envy of your friends,. But in the long run, they can have deadly effects both on your skin and your general health.